The honour roll commemorates those who served in World War One. 26 names are recorded with 4 of them killed in action. 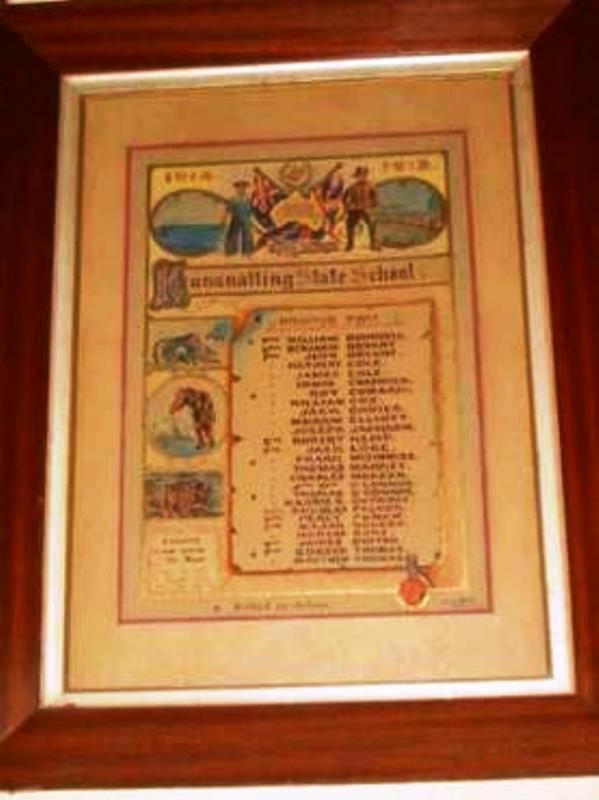 The Kunanalling State School Honour Roll was established in memory of the Kunanalling "old boys" who had answered the call of Empire during World War One. The roll is the work of Mr Joe Heap who was well known on the goldfields and local residents subscribed towards the cost of the frame. The roll was displayed in the establishment of Mr Jacoby in Hannan Street Kalgoorlie before being unveiled at the school in 1919. Kalgoorlie Miner, 8th March 1919.